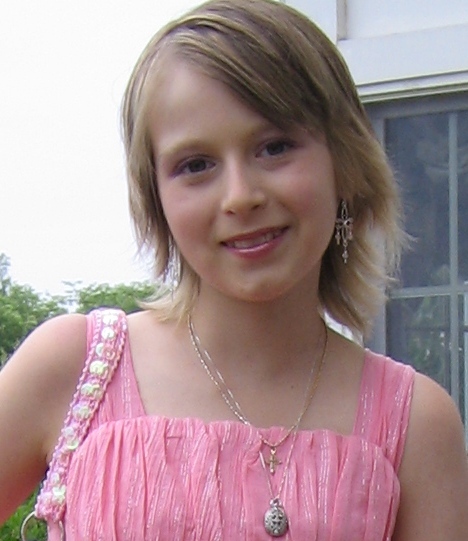 After Anna’s passing, I became more interested in my faith. 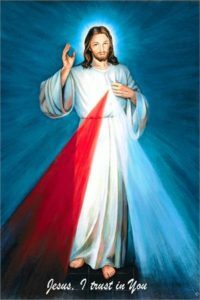 I read (and re-read) the book “Divine Mercy In my soul” by St. Faustina Kowalska and started praying the Divine Mercy Chaplet and imploring God’s mercy for souls at the 3 o’clock hour – I even set the alarm on my cell phone to 3 pm, so I would know when the hour of great grace was. 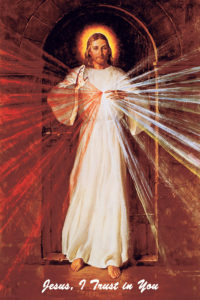 I purchased a picture of the Divine Mercy Image (shown here) and displayed it in my house. Below is some information about the devotion. 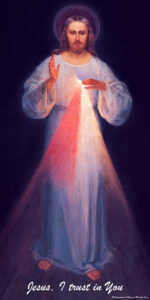 In 1931, our Lord appeared to St. Faustina in a vision. She saw Jesus clothed in a white garment with His right hand raised in blessing. His left hand was touching His garment in the area of the Heart, from where two large rays came forth, one red and the other pale. She gazed intently at the Lord in silence, her soul filled with awe, but also with great joy. I promise that the soul that will venerate this image will not perish. I also promise victory over [its] enemies already here on earth, especially at the hour of death. I Myself will defend it as My own glory (Diary, 47, 48). I am offering people a vessel with which they are to keep coming for graces to the fountain of mercy.That vessel is this image with the signature: Jesus, I trust in You (327). I desire that this image be venerated, first in your chapel, and [then] throughout the world (47). The two rays denote Blood and Water. The pale ray stands for the Water which makes souls righteous. The red ray stands for the Blood which is the life of souls. These two rays issued forth from the depths of My tender mercy when My agonized Heart was opened by a lance on the Cross. Happy is the one who will dwell in their shelter, for the just hand of God shall not lay hold of him (299). By means of this image I shall grant many graces to souls. It is to be a reminder of the demands of My mercy, because even the strongest faith is of no avail without works (742). Many different versions of this image have been painted, but our Lord made it clear that the painting itself is not what is important. Jesus said to St. Faustina: “Not in the beauty of the color, nor of the brush lies the greatness of this image, but in My grace” (313). So, no matter which version of the image we prefer, we can be assured that it is a vehicle of God’s grace if it is revered with trust in His mercy.